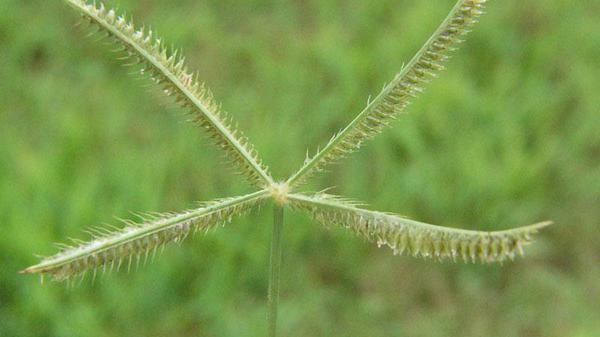 Crowfootgrass is an annual grassy weed of turf that roots at the nodes. 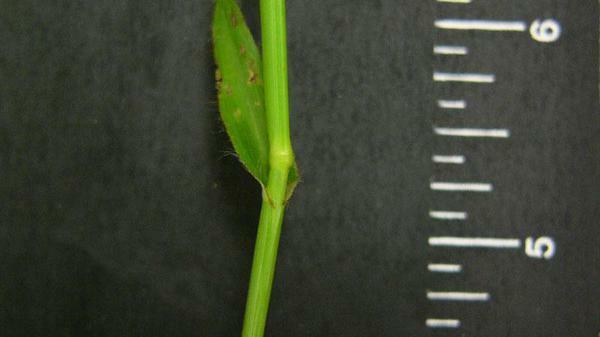 It is characterized by its unique seedhead of 5 or more spikelets that radiate outwards, resembling a crow's foot. 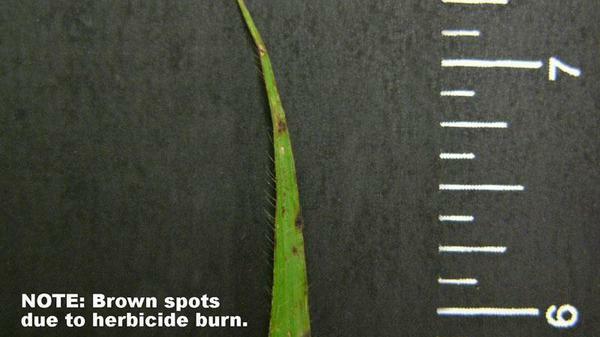 Summer annual grass weeds germinate from late March through July depending on location. They flower in summer and either die in the fall or are killed by frost. 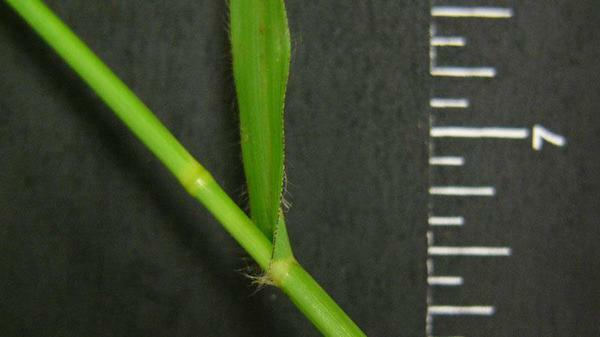 These weeds invade thin turf quite easily, so a year round turf management program is important to help prevent these weeds from becoming a problem. 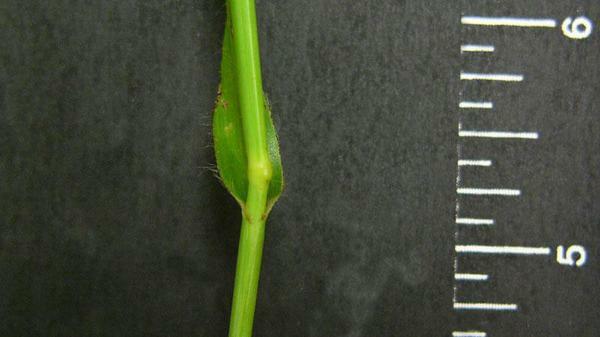 Winter weed control is especially important because when these weeds begin to die out in the spring, thin turf occurs where the weeds were located. 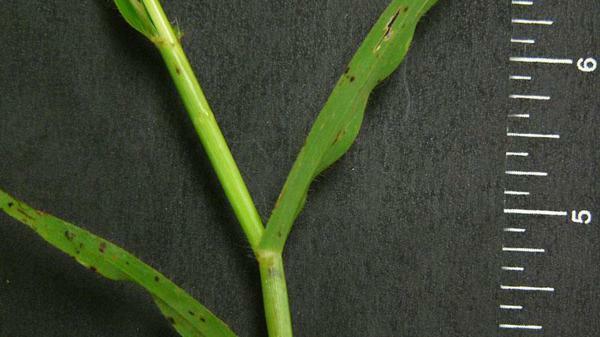 As the turfgrass begins to grow in the spring, so do summer annual grass weeds. Seedlings will fill in the bare, or thin turf areas before the turfgrass can recover in the spring. Figure 1. Crowfootgrass seedhead. Figure 2. Crowfootgrass seedhead. Figure 3. Crowfootgrass seedhead. Figure 4. Crowfootgrass seedhead. Figure 5. Crowfootgrass vernation. Figure 6. Crowfootgrass vernation. Figure 7. 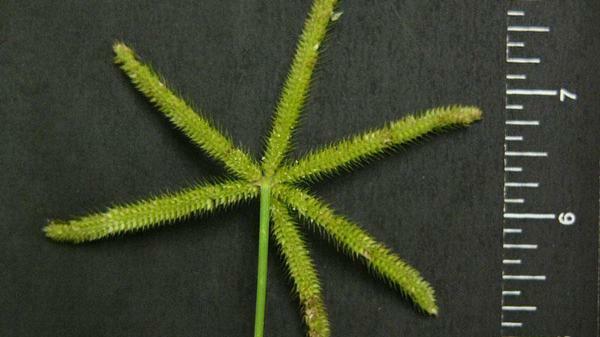 Crowfootgrass auricle. Figure 8. 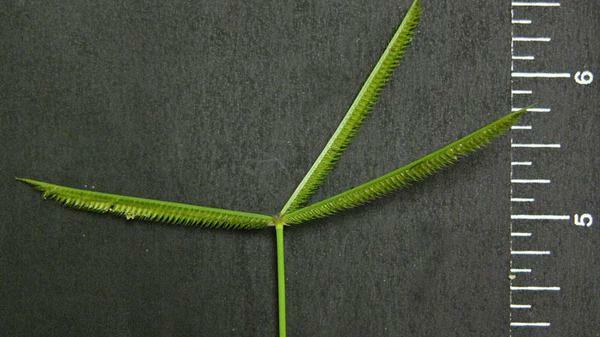 Crowfootgrass leaf blade. Figure 9. 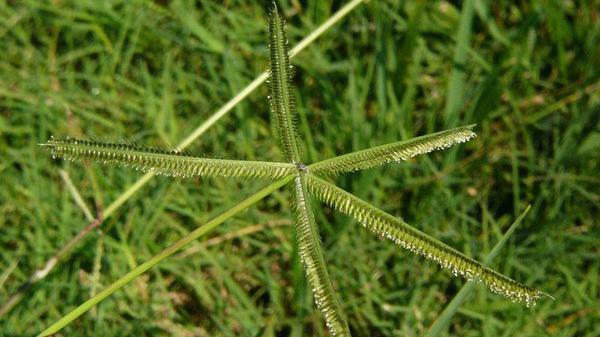 Crowfootgrass collar. Figure 10. 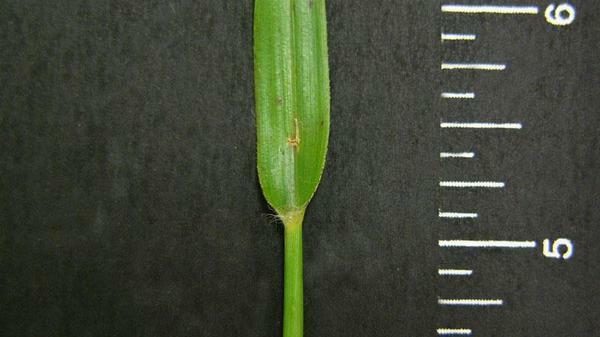 Crowfootgrass sheath margin.